What do you enjoy doing outside of your career? Spending time with my wonderful Brussels Griffon dog, Max, walking him and playing with him. He’s so funny! I also love spending time with friends when I have time. I love going to auctions and estate sales for work. How long have you been a member of the Center for Women? I’m on my second year and I love it. What inspired you to become a member? It interested me to become a member of a women’s organization where it was women helping women. What kind of impact has the Center for Women had on you? Center for Women has had a big impact on me with their networking meetings, as well as the tremendous one on one counseling that is available. That was a huge help to me as I started my business and continues to be. How has living day-to-day as a woman affected you? It’s become clearer to me as I’ve been in the business world that women are not treated the same as the “good ole boy network.” Therefore, I think it’s very important that we pull together as women and try to get equal pay and rights for all women in the workplace and those trying to start and run their own businesses. What kind of message would you like to send out to women who are trying to succeed in today’s economy? Don’t give up. You can succeed in today’s economy. Sometimes success is feeding your family, or just paying your bills however, we have to take pride in our small successes as well as the larger ones. If you want to open your own business, it is possible. There are loans available for women who persevere. Just remember, you can do it! How can people connect with you? By e-mailing me at my store at changingplacesconsignment@yahoo.com or by calling me at (843) 556-4000, store or on my cell at (843) 814-1355. I’d love to hear from you. What is your profession? Proprietor, Sharon Hox & Associates, LLC. Retired Management Consultant. Very checkered career in multiple industries. What do you enjoy doing outside of your career? Reading, sailing, travel, theater, ballet, golf, fine dining, wine, wonderful friends, volunteerism. How long have you been a member of the Center for Women? Just joined. What inspired you to become a member? Volunteering at the Women’s Business Center prompted joining. What kind of impact has the Center for Women had on you? Remains to be seen. How has living day-to-day as a woman affected you? It has made me a powerhouse! What kind of message would you like to send out to women who are trying to succeed in today’s economy? Be optimistic but not blind to reality; trust your instincts; a little “good” (to clients, co-workers, suppliers, and the world at large) goes a very long way. And network network network. Don’t be afraid to take a step back and a bigger step forward. What is your profession? Certified Financial Planner™, Morris Financial Concepts, Inc.
What do you enjoy doing outside of your career? Karate, cycling, swimming, cooking, wine, the ocean, quality time with friends and family. How long have you been a member of the Center for Women? 1992 – Brenda Hewell and I wrote the original 1023 that got us the 501c(3) status. What inspired you to become a member? Creating a place where women are the source and the foundation – where women can be enriched and inspired – where as a community we can make a difference in the lives we touch. What kind of impact has the Center for Women had on you? A comfort that it exists, it supports issues that I care about, and that I have a community to turn to. How has living day-to-day as a woman affected you? One natural tendency of women is to care – to care about “the world” and all it encompasses. This caring translates often into the joys of seeing others blossom and communities thrive, while the challenge is to balance the tendency to try to do too much. I live this as a woman day-to-day. I take care of my husband of 32 years, 3 adult boys who are now starting their own lives and families, run a successful business (30 years this June), and am deeply committed to active involvement in the community. The balancing act is often challenging, but as the intentions are good so are the outcomes. What kind of message would you like to send out to women who are trying to succeed in today’s economy? Focus on what is important, be patient, continue to love especially yourself, and don’t let “success” be a barrier – the only failure is not trying. My office – Morris Financial Concepts, Inc, is in the Old Village of Mt Pleasant – 107 Pitt St right next to the Post House. Stop in around 5, and we can go next door to have some quality time and perhaps a glass of wine, 2 things that are important to me! What is your profession? President, WhirlyBird Solutions, LLC. We manufacture and sell the WhirlyBird Repeller, the simple, safe, and effective device for repelling nuisance birds from boats, docks, and outdoor areas of all types. What do you enjoy doing outside of your career? Activities with family such as sailing, reading, bike riding, rollerskating. I personally enjoy knitting and crocheting, and gardening, and volunteering with Friends of Charleston County Library. How long have you been a member of the Center for Women? Since the October, 2012 networking event. What inspired you to become a member? The range of business women represented by the organization. What kind of impact has the Center for Women had on you? Still a new member, but very intrigued by the events and looking forward to attending more. How has living day-to-day as a woman affected you? It’s necessary to wear many hats at one time, and keep juggling lots of balls. I try not to drop too often! What kind of message would you like to send out to women who are trying to succeed in today’s economy? Have an idea no one else has, look for help with organizations in area, e.g. C4W, SCORE, Small Business Administration, SC Manufacturing Partnership. What is your profession? Own D&R Gunsmithing and Sales and work full time as a Human Resources Manager. What do you enjoy doing outside of your career? When I have time I enjoy reading, spending quality time with my family, long relaxing drives to nowhere in particular. What inspired you to become a member? The ability to network and share the hardships and joys of being a business owners. To gain insight from others. Also to become knowledgeable in ways to find funding to help grow my business to employ more people. How has living day-to-day as a woman affected you? Multitasking. We have to multitask and wear multiple hats. It is expected from us. After a while it gets tiring. What kind of message would you like to send out to women who are trying to succeed in today’s economy? Don’t give up. Find a mentor to help you through the process. Make sure you have your family support. Take baby steps. What is your profession? Commercial Lender for TD Bank. What do you enjoy doing outside of your career? Spending time with my husband and daughter, running, boating. How long have you been a member of the Center for Women? Brand new member. What inspired you to become a member? Now that I am a Commercial Lender I want to seek out businesses influenced by women in hopes of providing commercial financing for them. This is a great networking opportunity! How has living day-to-day as a woman affected you? I have continued to learn to prioritize and multi-task. As always, the struggle to be the best mom with family coming first while maintaining a successful career can overtake you. Being a woman makes me focus on both aspects of my life and makes me do/be the best I can be. What kind of message would you like to send out to women who are trying to succeed in today’s economy? Persistence! I am learning that nothing can be taken for granted or that success is going to be handed to you. You have to get out of your comfort zone and join so many others who are doing the same to make success happen for you. How can people connect with you? You may contact me at lori.swan@td.com. OK, admit it. You’ve fantasized about what a cakewalk it would be to work from home. I mean, just imagine: Your commute time becomes about 30 seconds, you can stop and put in a load of laundry at lunchtime, work from your desk in your gym clothes, maybe even stop for a short nap if the mood strikes. What could be better? Separating fact from fiction is an important task for anyone considering working from home. No longer the purview of envelope-stuffing moms, home offices and telecommuters are proliferating across the business landscape. According to the last U.S. Census report, about 8 percent of the American working population, or about 11.3 million people, worked primarily from home. In addition, those workers who reported working at home at least once per week accounted for 15 percent of total employment, a number that is significantly on the rise when you consider trends in both remote corporate assignments and the growth of home-based businesses. 1. Know yourself. You have to have a huge tolerance for solitude to sustain working from home on a regular basis. If you’re primarily a social creature or an extrovert, you could find yourself going stir-crazy or talking to the walls. Think carefully about your personality style and what makes you tick before you take the leap. 2. Establish a conducive working environment. A home office should be just what the term implies — an office. While you might be able to make due with a carved-out corner of your bedroom for a short time, if you’re serious about this, you’ll need some dedicated space that is devoted to business. That includes a chair that’s comfortable enough to sit in at the phone and computer for more than 15 minutes. 3. Stick to a schedule. The most successful telecommuters and home-based free agents are those who discipline themselves to keep regular and reliable hours. This doesn’t mean you have to sacrifice the flexibility element that is part of what attracted you to working from home in the first place. But it does mean that if you kid yourself by only working part time at what needs to be a full-time commitment, it will catch up with you. 4. Eliminate distractions. This is probably one of the biggest challenges about working from home. It’s just too easy to take a break and start dinner or chat with your neighbors or take the dog for a walk. When you set up shop, make sure your friends and family understand that just because you’re at home doesn’t mean you are fair game for a cup of coffee and a leisurely conversation whenever they choose to drop by. 5. Stay connected. Although it’s a good idea to avoid the coffee klatch, it’s important to stay in touch with the professional community. Attend local business meetings that are of interest to you. Schedule lunch with colleagues and clients. In other words, keep your network active and alive. Not only will it keep you marketable, it also will keep you from feeling lonely and out of touch. 6. Use technology wisely. If you work from home, it’s vital that you have reliable and professional technology on your side. Have a dedicated phone line that is separate from the one used by your spouse and kids. Invest in a voice mail service so that your messages don’t get lost or garbled. Use a high-quality headset if you spend a lot of time on the phone. Invest in a wireless high-speed Internet connection Make sure your fax machine is in good working order. Choose software and technology services that will make your life easier. 7. Take advantage of services aimed at the small office/home office community. It’s a good idea to use a mail and shipping center vs. standing in line at the post office. And it makes sense to have a mailbox dedicated to your business at one of these facilities so that you can keep your home address private and your mail separate. Buy office supplies online and have them shipped to you. Take advantage of the myriad services provided by copying centers. 8. Rely on professionals when you need professional help. Unless you are in the accounting business, it makes sense to hire a CPA to do your business bookkeeping and tax processing. And when you need a lawyer, have a good one on your side rather than trying to muddle through with do-it-yourself forms. If there is a heavy volume of administrative or clerical work associated with what you do, consider hiring a virtual assistant to provide the support that you need. 9. Establish boundaries. Just as it’s easy to get distracted when you work out of your home, it’s also easy to get consumed. Resist the temptation to hang out in your office at all hours of the day and night. You need a life, too — one that doesn’t have anything to do with your work. 10. Periodically assess how it’s going. The decision to work at home should be one that fits with who you are and enables you to enjoy what you do. If your heart is singing and you look forward to getting started in the morning, great. But if you find yourself dreading having to hole up in that home office one more day and praying for the weekends, something is wrong in this picture. Pay attention to the quality of your experience and be willing to make a change if it’s not working out the way you planned. Welcome home! Your business is waiting. 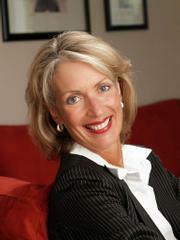 Barbara Poole is a Master-Certified Coach and Leadership/Team Development Consultant. She is President of Success Builders, Inc., Partner/Co-founder of Leading Deeply, LLC, and an affiliate of the Pyramid Resource Group, Inc. Barbara can be reached at coachbarbara@bellsouth.net. First appeared in the Business Review section of The Post and Courier Monday, May 28, 2012. What is your profession? I own Charleston Girl LLC. I recently designed and launched my first fragrance line called Charleston Girl. What do you enjoy doing outside of your career? I love being active. I am a licensed Zumba instructor and I LOVE teaching in my spare time. I love the water so anything related to that, I’m there. I enjoy reading, the theatre (Phantom of the Opera is my favorite), spa trips, animals, festivals, concerts, traveling, dining out & trying new foods, meeting new people & much more. How long have you been a member of the Center for Women? Just recently joined. What inspired you to become a member? I had heard about the center before and was always interested in meeting other ambitious & driven women. It is so important to surround yourself with supportive people & positive influences. I am 27 and I’ve had a hard time finding business minded people to hang out with, learn from & support each other. I was recently talking with a member and she raved about your organization and how great her experience had been & that was it for me; I joined! What kind of impact has the Center for Women had on you? I recently joined but I am hoping for a positive, proactive & hands-on impact. How has living day-to-day as a woman affected you? I have found being in business as a young woman can be difficult. I deal with huge companies that are run by men and sometimes I feel I don’t get the same respect as business man would receive. I have to work harder and be more professional than a man I feel like!! But, I LOVE being a woman!! What kind of message would you like to send out to women who are trying to succeed in today’s economy? Go for it. If you are ready to put the effort in & you realize once you begin the journey it will change your life, then do it!! I would advise to be prepared, do your research and understand success does not always equal a 9 to 5 job….long hours will be ahead. But if you are passionate about your business it doesn’t matter because you will be driven and ready to do whatever it takes. Karen owned a small design firm and was ready to hire another employee. After she placed an ad, she was thrilled to review a couple of resumes that seemed to showcase the exact type of experience that she needed the new hire to possess. She brought the best candidates in for an interview and hired the person with the most experience and best portfolio. The new hire lasted only about three months before Karen had to start the expensive and time-consuming hiring process all over again. What went wrong? Looking back, Karen admitted that she had been a little put off by the arrogance of this person during the interview. Still, even though she had reservations about her attitude, she hired her anyway because of her experience. This mistake is quite common, especially among small-business owners who are looking for superstar employees to help them grow their businesses to the next level. When you hire, you should be hiring for attitude as well as for experience. In today’s business climate, it is likely that any employment ads are going to be met with more resumes than in years past. This means that small-business owners will have a larger pool of potential hires to consider. —Why is hiring for attitude important? When you hire someone with an attitude that is not conducive to a peaceful work environment, it is going to have an impact on every other employee. Also, a manager or small-business owner with any experience can tell you that it is going to take more effort and time to manage an employee with a bad attitude. There is no amount of experience that is worth risking the morale in your workplace or adding to your own workload. —Use your instinct. While it is not always possible to spot those who have an arrogant or condescending attitude, you may be able to weed out some potential problem employees just by listening to your instincts. In the interview, ask how they have handled confrontation in the past. Also, ask if they have ever had a work situation where they did not get along with another employee. If you do not have a good feeling about the candidate, do not ignore that gut feeling just because he or she has a great resume. —You can’t teach attitude. Karen ended up replacing her problem employee by hiring one of her interns. The intern had very little experience but a great attitude. She was a team player who was always willing to go the extra mile. The intern turned out to be a model employee. This is not to say a small-business owner should hire someone with no relevant experience, but remember that many skills can be taught. 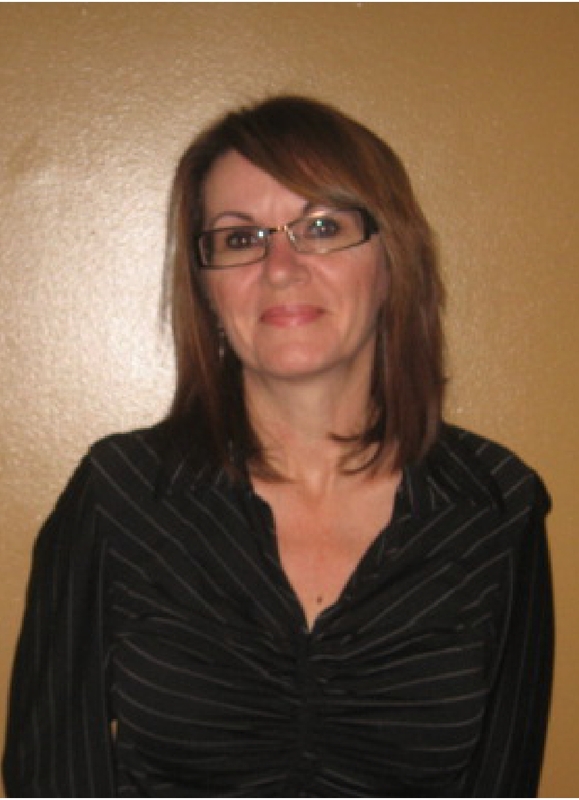 Pat Eardley is a human resources adviser with more than 16 years’ experience in H.R. management. She supports small-business owners, allowing them to have more time by focusing on creating a successful business environment for them and their employees. First appeared in the Moxie section of The Post and Courier Friday, July 9, 2010. When you think about the dream of owning your own business, you may marvel at the thought of being your own boss, and you may be surprised by the hours that you have to put in. In fact, many small business owners say that they work much harder in their own business than they ever did when working for someone else. The difference is that you’re working hard for yourself. It’s like buying vs. renting. You start thinking about your product and what makes you different from your competition. You consider what your location will look like, how you’re going to advertise and all the other necessary details. If you’ve been in business for a while, you may be thinking about what special you’re going to have next week or how you are going to gain new customers or clients. However, some new or tenured business owners are not thinking about employees much beyond salary. Employees are the heartbeat of any business and even more so when it comes to small businesses. You want to hire people you can trust who will represent you in a positive way whether you are present or not. If a customer or client has a negative experience with one of your employees, they will remember that a lot longer than they will any positive interactions. You’ve got to have the best people on your team. I went around town and asked some small-business owners about employee relations, training, conflict resolution and how they found their staff. Every owner had a different point of view, and the findings were interesting. I was surprised that most said they had not thought about the human resource aspects of the business. One owner said he knew that scheduling can be a little tricky sometimes because most of his staff was part time, but he wasn’t expecting the “miscellaneous” things such as customer service training, personal feelings/needs and employee development. A more tenured owner said that she always has had a great staff but wasn’t sure how to enhance the position of the employee who is doing a stellar job and has a world of potential. She knew that if she didn’t do something she’d lose her along with her skills and knowledge. I learned that even though some of the challenges were specific to the industry, type of business, environment or length of time the business has been open, the human needs were the same. Their staff members wanted to feel needed, cared for, respected and appreciated. Matchmaking: When you’re interviewing, ask situational- or behavioral-based questions. Probe for real examples of how they have handled situations in the past. It’s all clear: Write a job description. Make sure the potential hire understands what will be expected. All ears: If you say you’re going to have an open-door policy, do it! Really listen and ask them what they think. They might have some solutions. Just because you’re the owner doesn’t mean you have to have all the answers. Invest: Teach them skills that they will not only use in your business, but that they can take anywhere. This will show your employees that you truly value them and care about their personal growth. Put it to action! Have some ideas of how you can enhance the duties of your star employees. As Zig Ziglar said, “You don’t have to be great to start, but you have to start to be great.” You want the best employees to be keepers. Slash the trash: A grad student once told me this when I was preparing for a multiple-choice test. Create an exit strategy for employees that may not be in the right position or industry. Recruitment: Have a Plan B, a reserve list of potential employees. That will save money on turnover costs and is good for growth. Owning a business comes with a long list of responsibilities, and as an owner you have many hats that you wear. I hope these tips are beneficial to you, your business and, most of all, your interaction and development of your staff. After all, they are a direct representation of you and your business. Pat Eardley is an H.R. 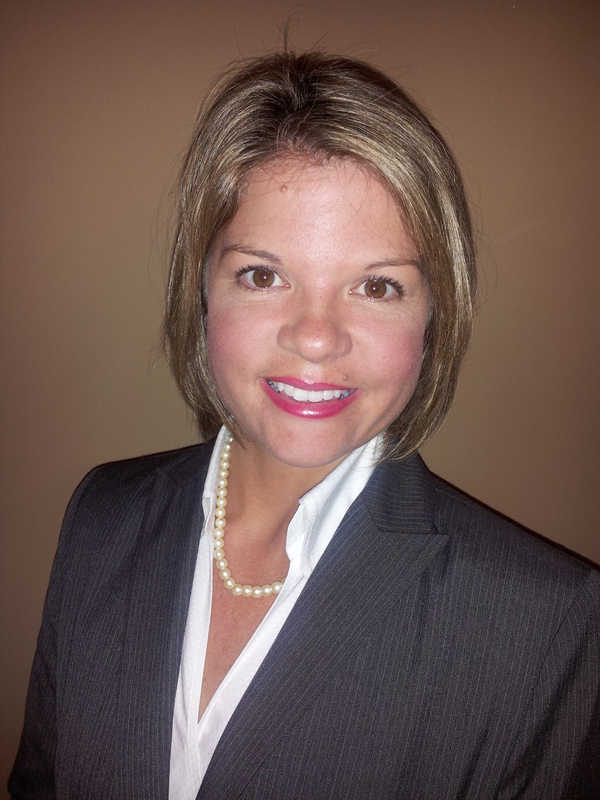 adviser with more than 16 years’ experience in human resources management. 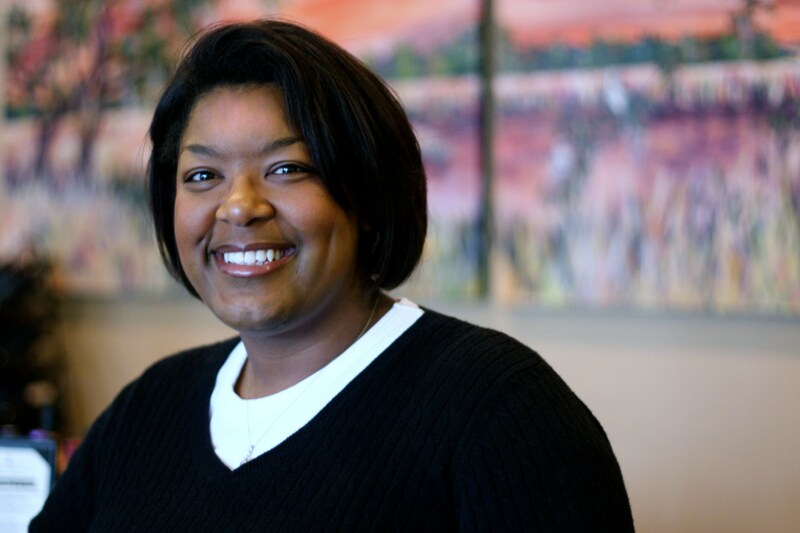 She supports small-business owners, allowing them to have more time by focusing on creating a successful business environment for them and their employees. First appeared in the Moxie section of The Post and Courier Friday, May 7, 2010.